How much does it cost to open a Shopify store? Shopify is a fast growing eCommerce platform, offering businesses the opportunity to set up an eCommerce store at affordable rates -- about 160% below the average for eCommerce platforms! If you’re looking to start building your very first business, Shopify is an easy solution. For Shopify, the more you pay for monthly fees, the less you have to pay for processing fees. When you’re trying to decide on your Shopify plan, the key is finding the optimal plan based on your sales and transaction numbers. And with four plans ranging from $29 to $1,500 a month, offering a wide variety of features ranging from gift cards to personalized support contacts, there’s definitely an option for every type of business. The Basic Shopify plan is a good fit for smaller businesses that are just starting out, as it’s the cheapest Shopify option with a monthly subscription fee of $29. However, it comes with the highest credit card rate processing fee of 2.9%. As the name suggests, the Basic Shopify plan doesn’t include some of the more sophisticated features like gift cards, reports, and abandoned cart recovery. Even then, the Basic Shopify plan is still a great place to start, because as your business grows, you can always move on to higher plans. The Shopify plan definitely works well for growing eCommerce businesses that are looking to scale up their operations, as it includes gift cards, reports, and abandoned cart recovery. These features that enable business owners to sell more through gift cards, while also offering them the opportunity to recover lost revenue through abandoned cart recovery. In addition, having access to reports provide you with valuable insights into the purchasing habits of your customers to help you make better business decisions. You’ll also enjoy savings on credit card rates with a lower processing fee of 2.6%. If you’re considering the Advanced Shopify plan, there’s a high chance you have a large, established company and you’re looking to grow your business even further. With the advanced report builder, you’ll be able to build custom reports that you can filter by dimensions to show you the biggest opportunities for your business when you’re looking for new openings to scale up your busines. A bigger advantage is the real-time carrier shipping information that ensures you offer customers carrier based shipping prices at the checkout. Having this information can help prevent cart abandonment, since one of the most common reasons for cart abandonment comes from the customer encountering unexpected costs. In addition to this, you’ll have the lowest processing fees at 2.4%. Shopify Plus is the equivalent of a bespoke enterprise level eCommerce solution. It also takes the strain of order management off your shoulders as you won’t have to worry about incurring any transaction fees. 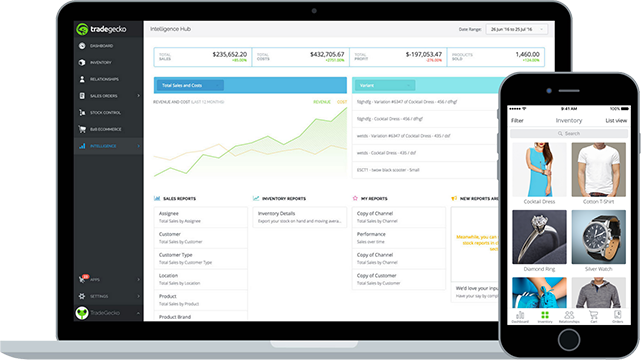 In addition you’ll also have a dedicated project manager, an account manager, personalized support contacts, negotiated Shopify Payments rates, and early access to beta features. 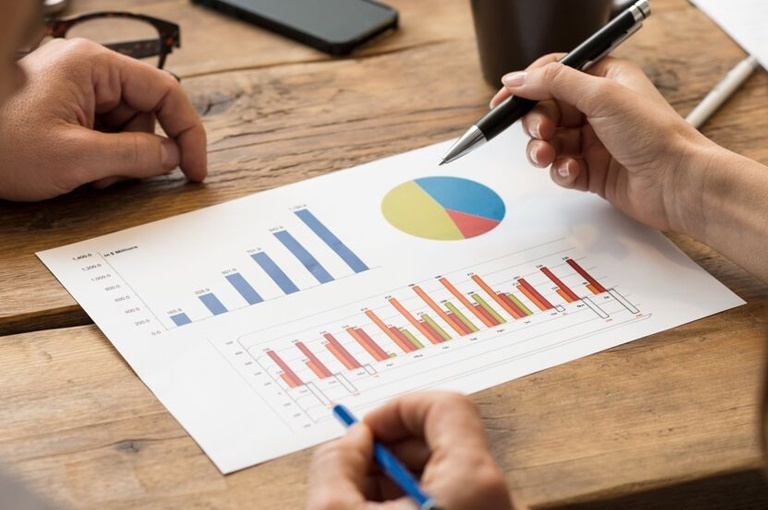 As seen from the variety of features available, there’s more to choosing a business plan than just looking at the monthly subscription costs. You’ll need to choose a plan that best suits your business, but at the same time, you still need to consider the details of the Shopify plans and the processing percentage and fees. Let us know if you found our Shopify Cost Calculator useful when deciding on the right plan for your business! 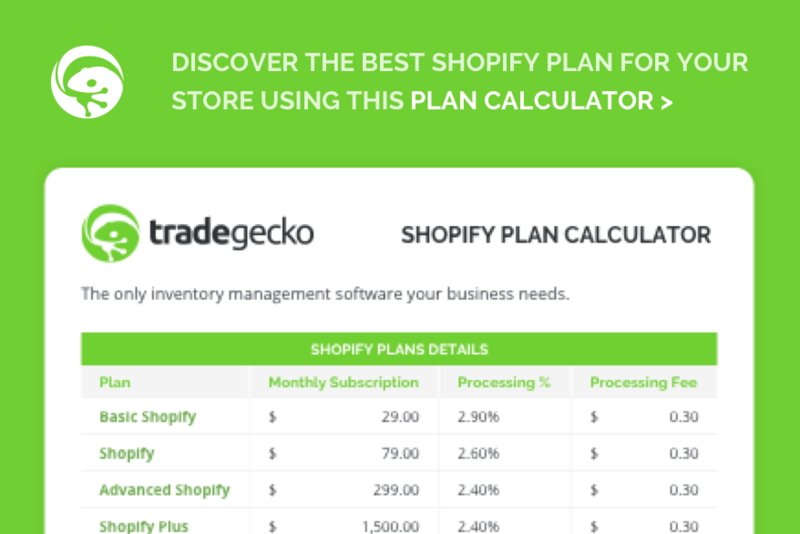 *Note: This Shopify Plan Calculator features processing fees from North America. In other countries there may be different processing fees, and if that's the case, all you have to do is adjust the "Processing %" column to reflect the prevailing rates in your location.